Not only did thank you cards need to be done for the new addition to the family, but I also needed to get a few welcome cards. The circle I made in Microsoft Word. I had to play a little to get it the right size, but in the end, I was super happy and now I have it save to use for future projects. The sentiment comes from the Verve. 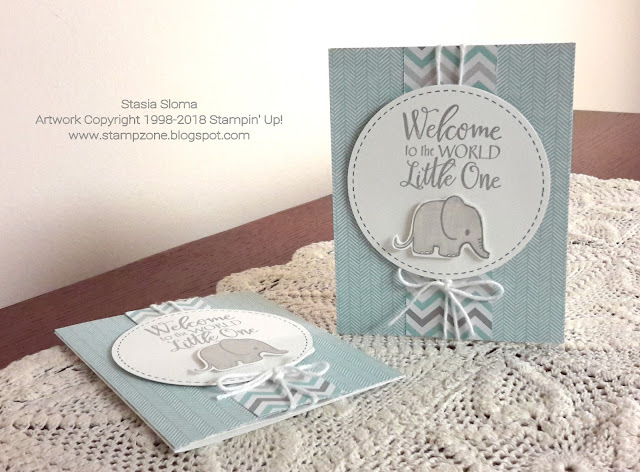 The elephant is from an old stamp set in my craft stash that is TPC Studio. The elephant was colored in with my Copics. The blue set of cards I made with the Coffee Break Designer Series Paper and the retired A Little Foxy Designer Series Paper. 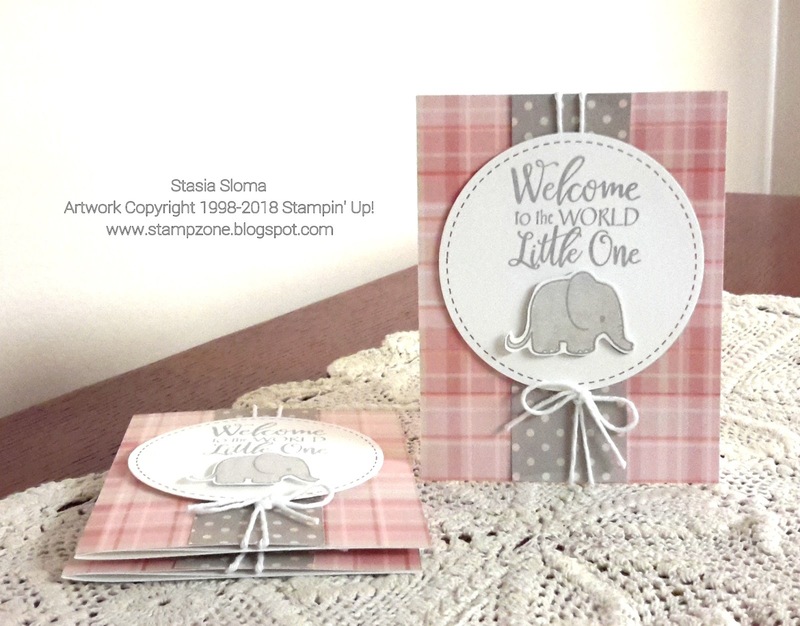 The pink set of cards I used the America Crafts Felix and Pebbles Front Porch.